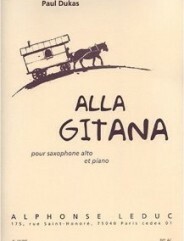 Alla Gitana by Paul Dukas (1865-1935) and Marcel Mule (1901-2001). 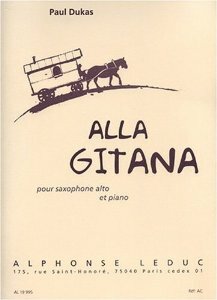 For E-flat saxophone and piano. Published by Alphonse Leduc (AL19995).